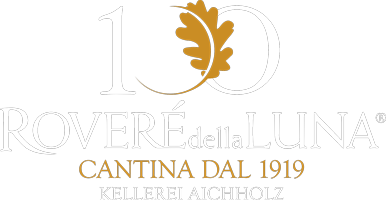 Roveré della Luna in Italian, Aichholz in German (oak wood), is the northernmost village of the Adige valley in Trentino. 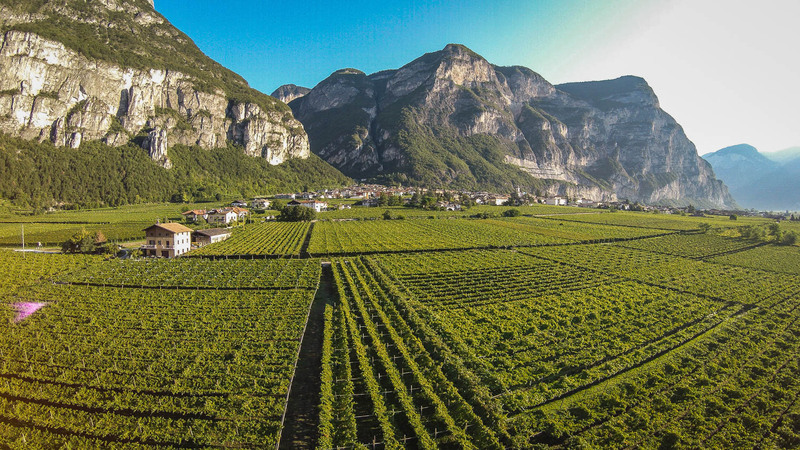 It lies on a huge limestone landslide composition with an extremely soft profile, near the border with South Tyrol. Two elements, the oak and the terroir, contribute to the excellence of the wine production of the winery. The vine grows here with difficulty, because of the gravel limestone substrate that does not retain water. This feature gives a particularly fruity wine: in the writings of the 17th century Tyrolean traveller and writer Max Sittich von Wolkenstein a “Aichholzer Lagrein“ is mentioned, which he judged as excellent and even “better than that of the surrounding area“. 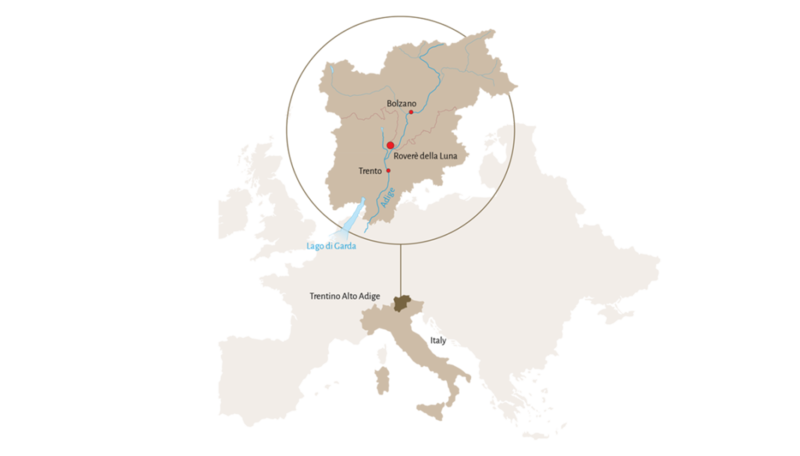 The processing of the grapes takes place in a modern, well equipped winery, according to a rational and dynamic spirit that has the flavour of tradition and a deep knowledge of the craftmanship. 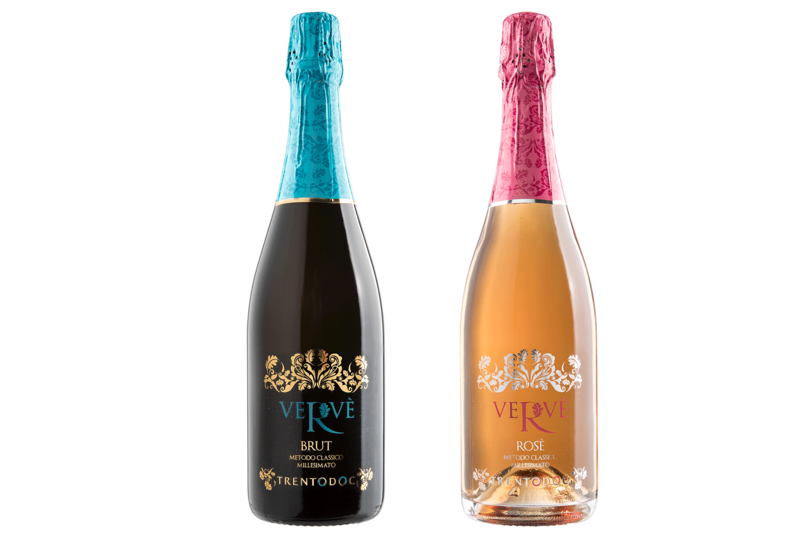 The “VERVÈ TRENTO DOC” line renews the tradition of the Classic Trentino Method by elegantly reinterpreting the classic Chardonnay, Pinot Nero and Pinot Bianco vines. Elegance and minerality are what distinguish them. Intense cuvée with notes recalling yellow flowers and white fruits. Amazing evolution in time. High minerality and good freshness balance with a fine aromatic quality. Matches perfectly with good old friends dinners. 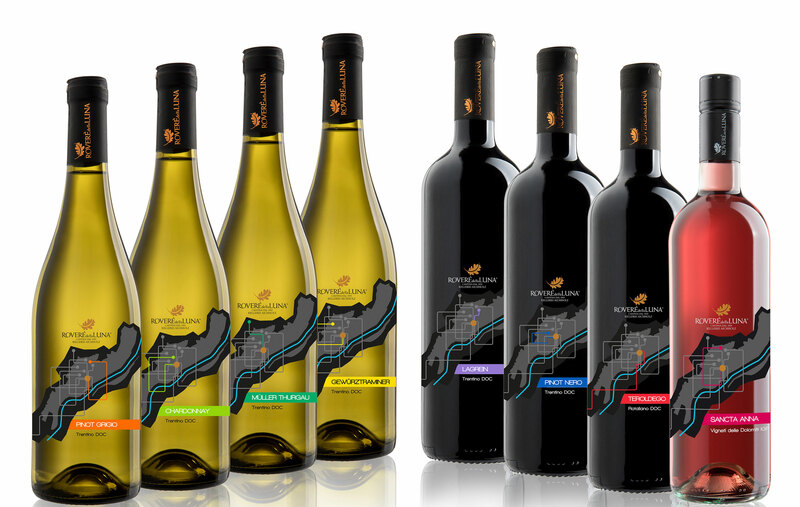 The wines of the “I CLASSICI” line are fresh, simple, to be tasted young. From processing grapes from the vineyards surrounding the winery they are a classic interpretation of the traditional local wines. Pure taste at kilometer zero! 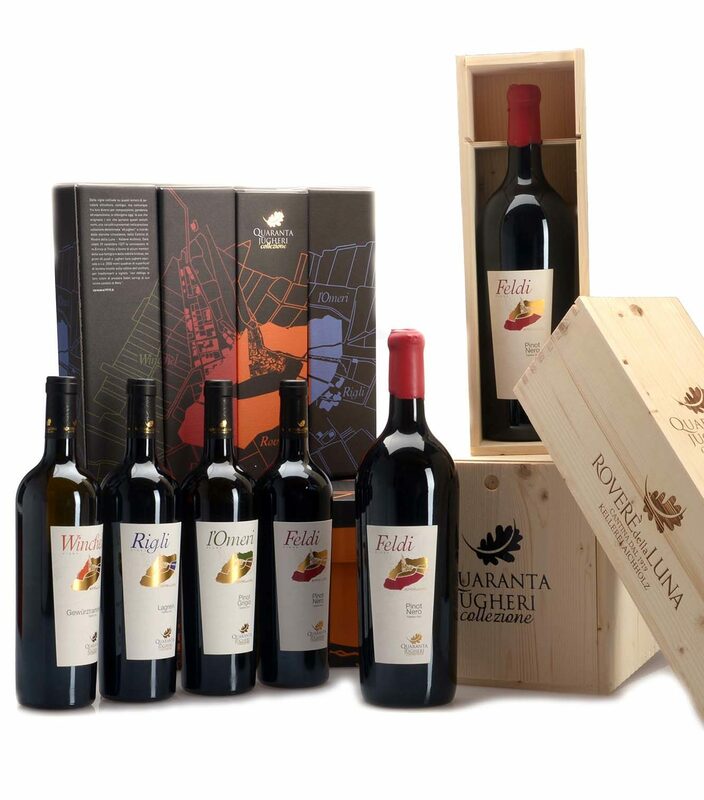 The “QUARANTA JUGHERI COLLECTION” interprets the four great vines of the territory in soft, complex and elegant versions. The names of the individual wines from which the grapes come give the name to these four important and unique wines.